If you barely go camping once a year, you could do with one of those cheap tents you can find in a local store. But even so, chances are it will start showing signs of tear after using it a few times. Or they may not even withstand strong and harsh environment. Whether you are after cost efficiency or you go camping a lot, a professional tent becomes a better option. Plenty of Marmot tent reviews out there suggest this brand as one of the leading ones in this segment. 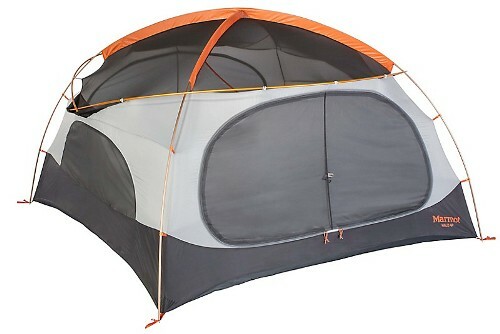 It has plenty of products in all shapes and sizes, yet it is better known for its large tents. Just like every other bright idea, it all starts with a necessity. When Dave Huntley and Eric Reynolds went on a university trip in Alaska's Juneau Icefield in 1971, they realized that basic everyday tents are not good enough for a good camping experience. That is when the idea of Marmot started contouring. The name has nothing to do with the experience though, but it relates to a group of ground squirrels living in mountainous areas. The company was established in 1974 and gained notoriety overnight due to its great value for money. It brought in high-quality tents made of durable materials, not to mention their subtle bells and whistles. They were designed in such a way that they managed to solve many problems associated with tents back then. Everyone expected the prices to go in the same direction – quite high. Wrong! That is what contributed to the popularity of Marmot. 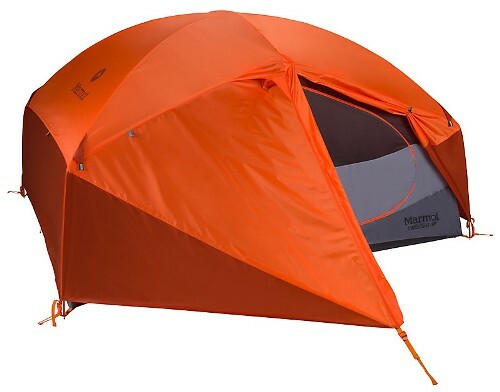 With time, Marmot increased its range and now produces tents of all kinds of sizes. Most of its range targets couples, families, and groups of friends, yet you can also find tents for a single person or more compact options. Regardless of the size, their quality is likely to impress. Marmot is all about value for money. You will find tents that cost two or three times cheaper than similar alternatives from other companies. Sure, you expect the quality to be a few times lower too, but it is not. This is what contributes to the growth in popularity. When it comes to large tents, they float between $150 and $300. You will also find products out of this range. 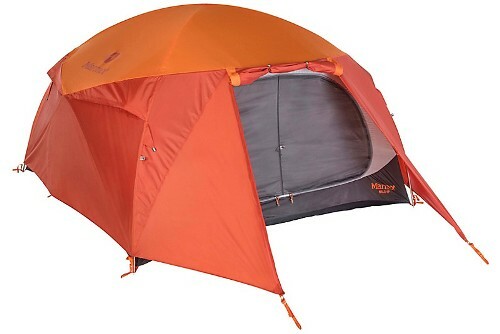 But overall, you get to buy a budget tent with the durability and features of a premium one. What can be more convenient than that? 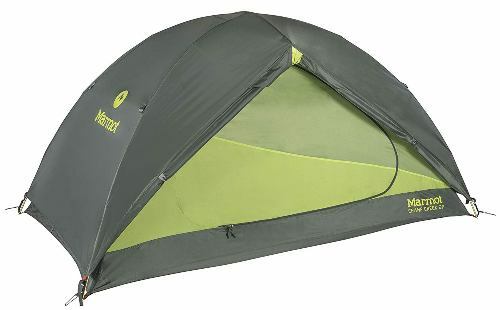 While looking for Marmot tents reviews, this model will inevitably come into play. It is available in two different sizes – two and three persons. The two-person size is a better seller though, as it is extremely spacious. If you travel with your partner and a kid, chances are all of you can fit in if you are not large. The unit is quite simplistic and does not bring in too many random bells and whistles that would not do much anyway. Instead, it is designed with the main camping needs in mind – durable materials, lots of space and easy installation. The Limelight tent is so well put together that you cannot find anything to complain about. Its size is the biggest plus – ideal for large couples, couples with a kid and small groups of friends. It is the most convenient size out there, and it comes with a perfect design to allow plenty of space. This tent comes with excellent value for money. 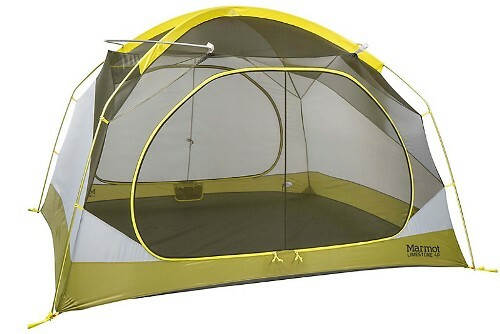 It costs cheaper than some two-person tents, yet it is made of more durable materials and offers lots of space. The Marmot Limelight 3P installation is fairly simple and requires no experience at all. However, an experienced camper could do it within a few minutes only. 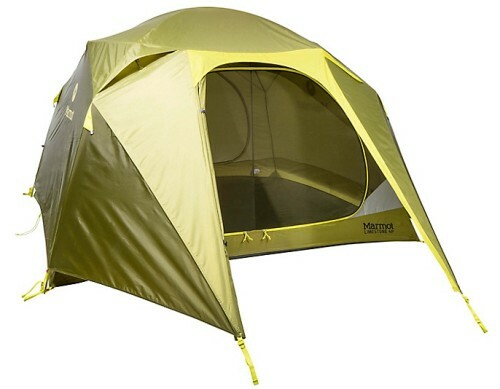 Available in a few different colors and styles, this is one of the most appreciated tents from Marmot. You will find lots of positive reviews of this Limestone series​because it provides enough room to accommodate four people, yet it looks quite compact. Its construction is made to last, and despite being taller and wider, it can easily face harsh weather conditions. Limestone can take two adults and two kids. Even if you only have one kid, the extra space will prove quite handy for storage or a more comfortable sleeping position. Marmot tents stand out in the crowd with their user-friendliness. This model makes no exception either. It is suitable for four persons. 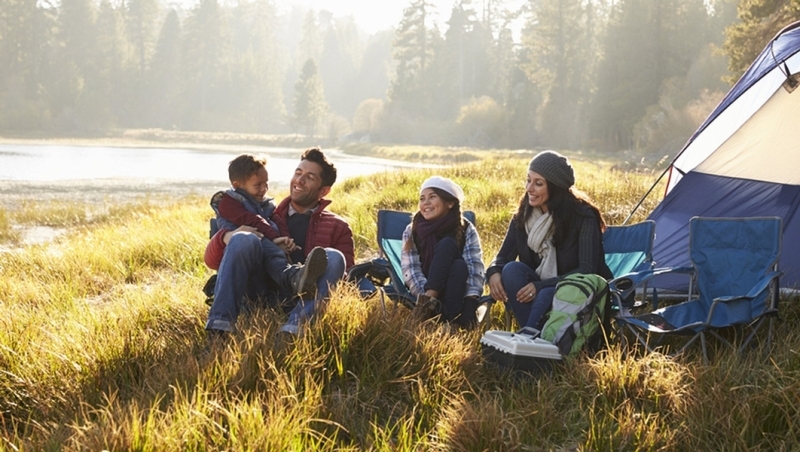 It means you can get your entire family in one tent, but you can just as well bring your dog or just get some extra sleeping space. The tent does not come with a footprint – not always needed though, yet it depends on where you normally go camping. 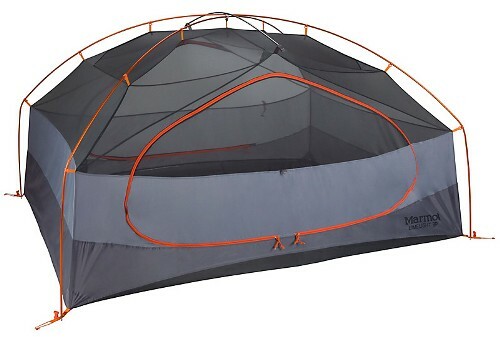 Most tents do not have one anyway, yet Marmot has implemented this feature as default in a few other models, hence the positive Marmot tent reviews all over the Internet. 1. Is there a warranty? Marmot warrants all products to have no manufacturer defects. Most items are covered. Damage caused by using the tent for purposes other than for which they are designed, alterations, normal wear, and tear are not covered. 2. Can I find replacement parts in commerce? Absolutely. Marmot is the ideal option when looking for replacement parts, although you can find other shops selling such items too. Make sure the warranty does not cover you before ordering yourself though. 3. What is the best Marmot tent for me? It only depends on you. All tents carry high-quality standards, so pay special attention to the size and the features that interest you. 4. Why do I need a footprint? The footprint is a tarp which assists in warding off the moisture and keep the temperature stable in the tent. It is to be placed under the tent. Checkout why you need one here. As a short conclusion, it is easy to tell why Marmot tents are so popular. The company is one of the most reputable companies on the market, and it surely knows how to treat its customers right. Its segment features lots of products in all kinds of sizes and shapes for everyone to be satisfied. 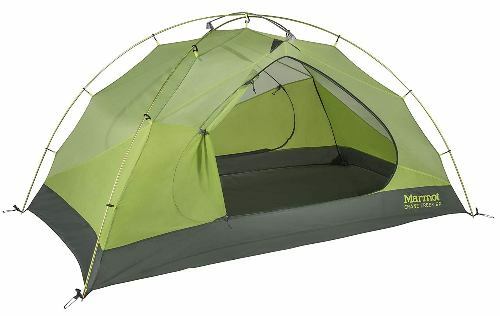 While each product has its strengths, Marmot Limelight 3 Person does stand out in the crowd. Although it is designed for three persons, it can even take four small people or three people and a dog. It is well put together with convenience in mind. 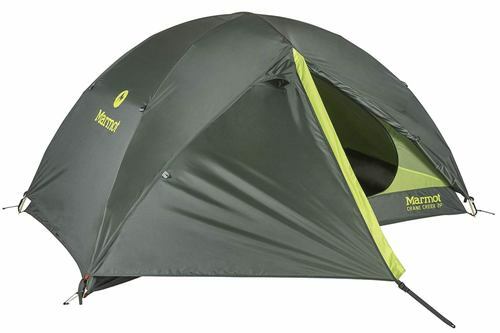 This Marmot tent reviews rate it 4.4 stars out of possible 5.